If you want your website to be a useful tool for engaging with your customers, it’s important to keep it updated. Trends web design and SEO all require you to make changes on a regular basis. Your industry is probably evolving as well, so you want to keep your content relevant to your customer’s needs. Here are some tips to make sure your website is up to date. Web design is a field that is always evolving. If your site has the same design as it did five years ago, chances are it’s outdated. Of course, you don’t necessarily have to adopt every new web design trend. It depends on your business and your customers’ preferences. If you’re selling vintage clothing or antiques, you might even want a quaint rather than contemporary design. Even then, however, you’ll want to keep up with design trends that are pleasing to both visitors and search engines. 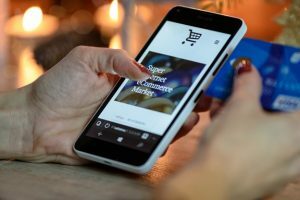 For example, selling products using carousels or sliders was once popular but it no longer recommended because such features aren’t mobile or SEO friendly. A slow loading website causes you to lose visitors and increase your bounce rate. According to one study, even a one-second delay reduces conversions by as much as 7%. A slow website can also harm your SEO as Google counts page-loading speed as a ranking factor. There are several ways to speed up your site. Use a plugin such as W3 Total Cache to enable caching, one of the best ways to make a website run faster. Keep your site scripts updated. With WordPress, make sure you’re using the latest version. Reduce the size of images. Resize larger images prior to uploading them to your website. Don’t rely on changing the dimensions of the code. This tactic may reduce the size of the image but it doesn’t reduce the file size. There are also plugins that will automatically reduce image file sizes. Delete plugins that aren’t essential. As more and more people use mobile devices, it’s not necessary to make sure your website is easy to navigate using smartphones and tablets. Todays’ websites are built using a responsive design that makes content accessible on all types of devices. For example, modern WordPress themes are all responsive. If you haven’t updated your website design in a few years, you may need to make some changes to this area. Always test your site using various devices to make sure all of the features are accessible on mobile devices. A website that’s mainly text-based with few images or videos appears dated in this visual age. If you explore the web, you’ll see that photos, memes, infographics, and video are everywhere. Adding engaging and relevant visual content to your website is one way to keep it contemporary. The quality of your images matters as well. Focus on original or custom photos and images rather than generic stock images. The latter was popular in the early days of the Internet but don’t pass muster today. Using attractive and relevant photos and other graphics is one of the best ways to keep your website looking fresh and contemporary. Your site isn’t going to have a fresh and modern look if you’re not consistently adding new content. Visitors will typically look at the date when they visit a blog post or news story. This shows your visitors that you’re active and continually posting valuable material. An excellent way to keep adding new content is to have blog and post to it on a regular schedule. If you’re pressed for time, you can link to a relevant news story, video or blog by an influence in your industry and add a few comments of your own. Can you look at our blog posts and guess our schedule? Frequently updating your website is also essential to SEO and crucial for getting your website ranked well in the search engines. In addition to consistently adding fresh content, it’s important to go back to your older content and make sure it’s still relevant. That is especially crucial if you’ve had your website for a few years and have lots of blog post or time-sensitive information. You don’t want people to visit your site and come away thinking that it’s outdated. If an article or post is totally irrelevant, the best remedy is to delete it. More often, however, you can update it with some new information. For example, if you find a post that gives statistics from a few years ago, see if you can find more relevant numbers. If you’re discussing a new story, look for the latest information. Another sure sign that a website was not recently updated is it contains numerous broken links. If a visitor clicks on one of your pages and lands on one of those dreaded 404 error pages or another type of error message, you’ll most likely lose them to the back button. If your website has lots of content, it can be an arduous task to search in manually for broken links. If you use WordPress, install the plugin Broken Link Checker to identify such problems. You can also lean on Google search console to report 404 errors on your website as well. It’s always a good idea to visit your website with a critical eye and look for ways to update and improve it. These tips will help to keep your website looking fresh and relevant. Ask the opinions of others people that you trust as well. Improving your website makes is a more powerful marketing tool for growing your business. Contact us today to learn how we can manage your website content!